Whamisa Organic Seeds Shampoo for Oily Scalp -This effective sulfate-free organic seeds shampoo with fermented ingredients is truly unique. Comprised of 27 carefully selected natural ingredients for healthy hair and scalp. Formulated with apple extract, peppermint oil and menthol to help eliminate dandruff and control oil secretion. Includes barley to promote hair growth and mung beans to nourish and thicken hair. Whamisa Organic Seeds Shampoo also contains rice and oat ferments to soothe and strengthen hair. 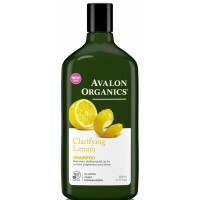 This gentle yet effective shampoo, at pH 4.5 effectively cleanses and promotes healthier hair and scalp. Infused with clarifying and hair strengthening natural hinoki, rosemary, and peppermint essential oils for additional benefits. How to apply: Massage into wet hair and scalp. Rinse out. For best results use with other Whamisa hair products.